Remember when I was so excited to run a marathon on my birthday, and how that would be such a great way to start out the year? (Check it out here) Three weeks before the marathon I found out that I had to be out of town causing me not to be able to run the marathon. I was kind of heart broken because I had put in all of that time training and I would not even be able to participate in the race. At the same time I was kind of relieved that I could just stop the running. It was kind of weight off of my shoulder that I did not think I had time to train for a marathon for the next couple of years, or so I thought. 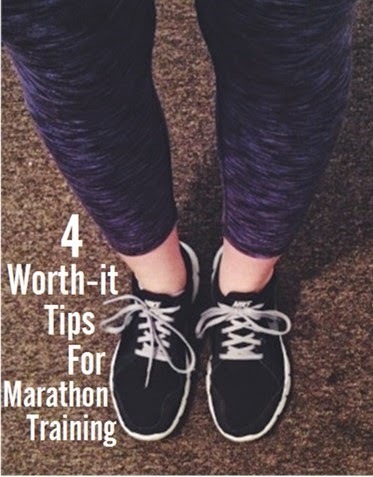 It ended up that an opportunity came up, and marathon training 2.0 is in full force. I learned a lot from the first round of training, that I will for sure be bring with me in the second round. Speed> Distance: I know marathons are suppose to be slower, but I was not running very fast in any of my runs. I wish I would have focused more on the speed rather than just distance. Diet: I think I was at my heaviest in my life while I was marathon training. Running long distance actually does not help with weight loss, it is the HITT workouts that help with that. While I was training I thought I could get away with eating whatever I wanted, and I was clearly wrong. Not Missing Workouts: My summer schedule was crazy busy, so instead of working out in the morning I would just skip and make it up later in the week. This ended up that I would just skip the small runs when again I should have been working on speed. Circuit Training: This goes along with not missing workouts, I would always skip circuit training, and that is something I will be focusing on.